Keen Koala: How To Fix A Saggy Wing Chair With Zip Ties! 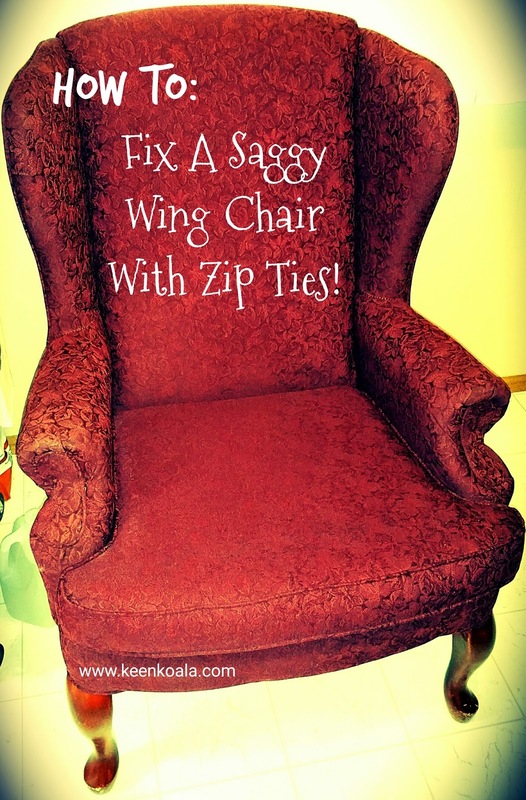 How To Fix A Saggy Wing Chair With Zip Ties! I recently found a beautiful wingback chair for a great deal at an auction. The upholstery was in great condition and the seat cushion was firm. The only problems with the chair was that the legs were scratched (I am planning on painting them white anyway) and the chair was a bit saggy on the seat near the back. 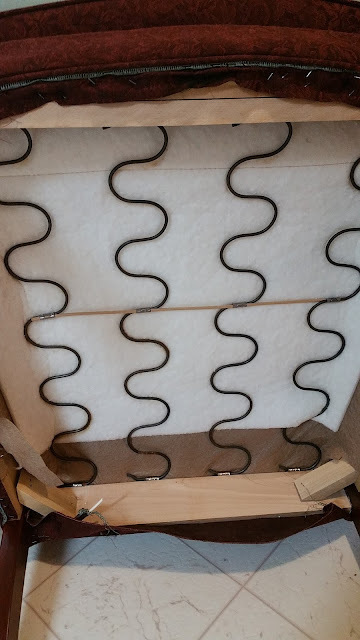 I pulled off the fabric covering the bottom of the chair to reveal a network of serpentine springs and a central support wire. After years of repeated use, these springs can become stretched and tired. To strengthen these serpentines, it is necessary to create a web of tight diagonal reinforcements joining the serpentines to each other. 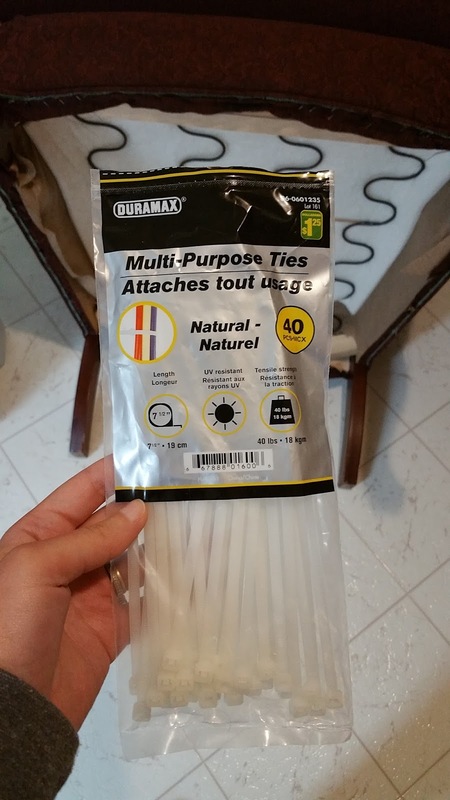 Attach each serpentine to the serpentine beside it diagonally with a zip-tie. 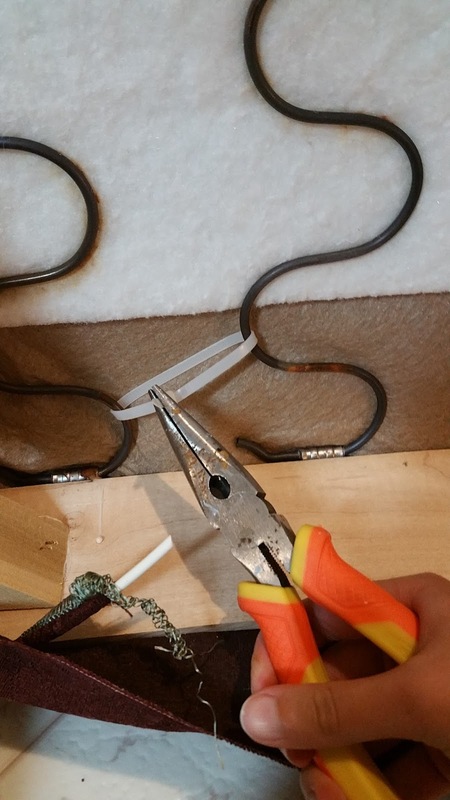 Use a pair of needle nose pliers to make a tight connection. Repeat this step until you have connected all of the serpentines and it looks something like this. Go over your work one more time with the needle nose pliers to tighten any of the zip-ties that may seem loose. 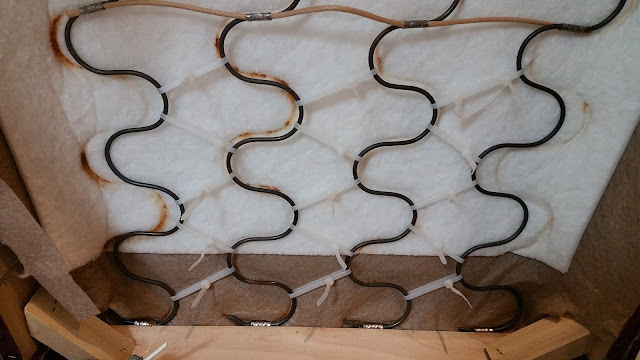 If there is an area that you feel requires extra reinforcement, go ahead and attach another zip-tie to that area. Once you are satisfied with your work, flip your chair over and test out the seat. I hope you will find that your chair feels a lot less saggy now! If you enjoyed this tutorial, please don't forget to LIKE Keen Koala on Facebook for instant access to the latest posts, exclusive content and contests by clicking HERE!